Scottie Olson is once again trying to find purpose in his life, this time by vying for a woman’s heart on "Young Bucks,” a hit reality TV dating show. But after the sudden death of his father, Scottie is forced to quit the series and reunite with his estranged sister, Kate, who put her life on hold to be their father's caretaker and who is grappling with her own grief. 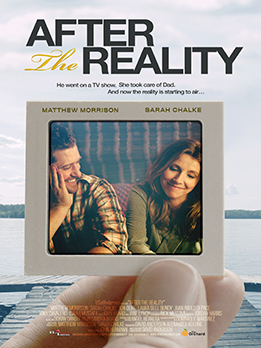 Moving back and forth between Scottie’s turn in the national spotlight and his time reconnecting with Kate at their family's Minnesota cabin, AFTER THE REALITY is a funny and poignant story about loss, reality show romance, and a brother and sister’s love.